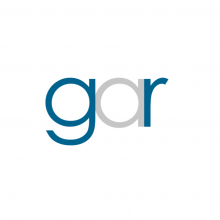 Global Arbitration Review (GAR), a leading international arbitration publication, unveiled the list of the top 30 arbitration firms worldwide, at its annual GAR Awards Ceremony, held in Paris on 12 February. LALIVE continues to be ranked among the top 30 firms selected by GAR (25th this year) based on a wide range of criteria such as the number of partners ranked, the number of merits hearings and jurisdictional hearings, the number of pending cases as arbitrator and counsel, as well as client and peer feedback. In its research, GAR also took into account the number of listings achieved in The International Who’s Who of Commercial Arbitration, in which LALIVE was ranked as 1st non-global firm, 6th worldwide, with eight lawyers listed. LALIVE is the only Swiss-based firm and one of only three continental European firms listed. Marc D. Veit, a new Partner at LALIVE, based in the firm’s Zurich office, collected the award at the Ceremony. Please see the full coverage of the GAR 30 analysis and of the event here.